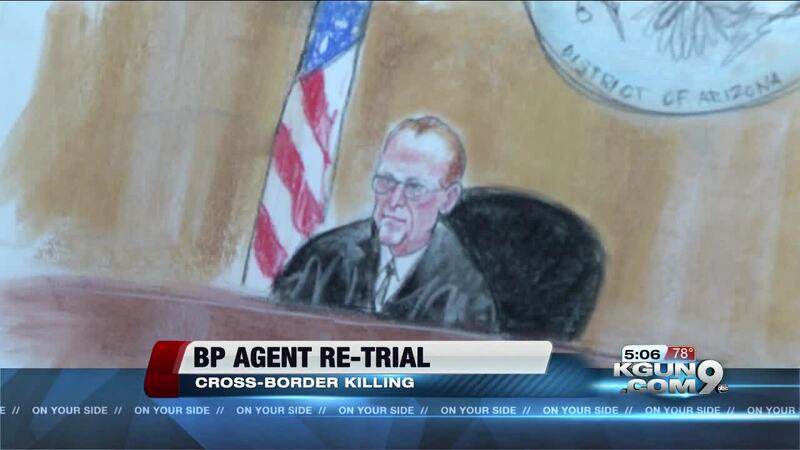 Border Patrol agent trial: Was killing anger or self defense? A killing rooted in anger, or a justified use of deadly force? Those are the competing pictures prosecutors and defense attorneys are painting in the retrial of Border Patrol Agent Lonnie Swartz. Opening arguments began Wednesday in Swartz’s trial for shooting through the border Fence and killing a Mexican teenager. Lonnie Swartz is facing a retrial on voluntary or involuntary manslaughter for killing 16-year-old Jose Antonio Elena Rodriguez. Last Spring a jury acquitted him of second-degree murder but could not decide on the manslaughter charges. Before opening statements began, Swartz attorneys made a new request to move the trial out of Tucson. They say Swartz can’t get a fair trial here and claimed protestors tried to influence potential jurors through demonstrations and placing small photos of the dead teen where the jurors would sit. Judge Raner Collins denied the request saying he’s confident none of the jurors chosen actually saw the photos, then the judge warned the courtroom audience anyone trying to influence jurors will be going to jail. In his opening statement, prosecutor Wallace Kliendienst told jurors five years ago Agent Swartz went to help other agents and Nogales police trying to keep smugglers from getting back over the border fence and escaping into Mexico. People on the Mexican side were throwing rocks to interfere with the agents. Prosecutors concede rocks can be dangerous but say in this case Swartz and other agents could have stayed safe without resorting to deadly force. He claims Swartz was fed up after facing six or seven other rock attacks and vented his frustration by firing sixteen shots through the fence and killing Jose Antonio Elena Rodriguez. But defense attorney Sean Chapman says Border Patrol agents are trained that rocks are a deadly force with the power to kill or maim and that Border Patrol training says guns can be justified to stop rock throwers. He says the teenager was not some innocent bystander, but someone who chose to join the dangerous business of drug smuggling and was assaulting federal agents as part of his work.